Melissa McCarthy reprises her unhinged, seething Sean Spicer character. Alec Baldwin hosted “Saturday Night Live” this week, but the resident President Trump impersonator was nowhere to be seen during the show’s cold open. Instead, Melissa McCarthy reprised her unhinged, seething Sean Spicer character, which was last week’s most-talked about “SNL” moment – and an impersonation that reportedly unsettled the White House. Trump had been most troubled by the fact that a woman portrayed his male White House press secretary, a send-up viewed by some as detrimental to Spicer’s longevity in the job, Politico reported. “Trump doesn’t like his people to look weak,” a top Trump donor told the outlet. McCarthy-as-Spicer’s character threw gum, cranked a leaf-blower and plowed into the press corps with the lectern. Not only did McCarthy return as Spicer berating White House reporters, but Kate McKinnon played recently confirmed Attorney General Jeff Sessions. 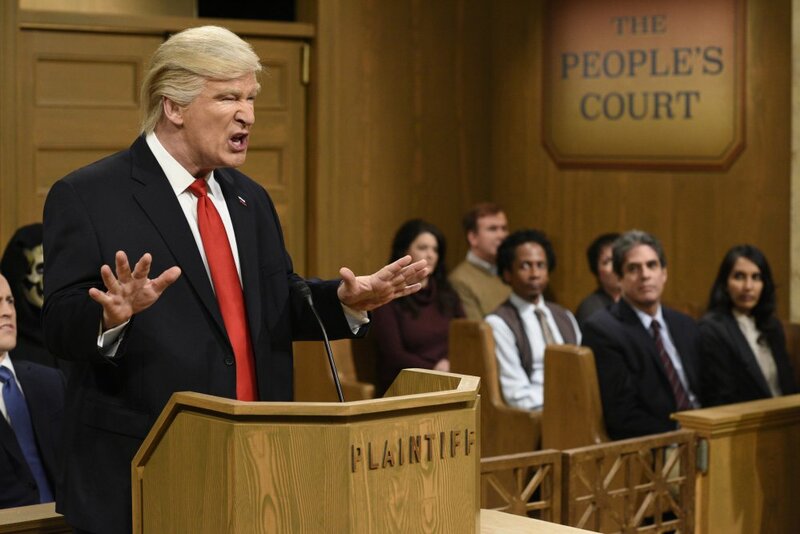 Baldwin impersonated the president in a ‘People’s Court’ skit, squaring off against the three 9th circuit judges who ruled against the travel ban.